Welcome to Dogca Universal Wellness, where our mission statement is “The Wellness of Spirit, Mind, Body and Environment Is Everything.” We provide exceptional energy healing arts services since 2000. Thank you for choosing our web site. Your energy healing arts practitioners are Dorothea and Pia. Our intention is to assist, guide, teach, and facilitate personal healing treatments in the Shaman’s Way of Healing. These healing treatment processes can be Whole Infinite Transformational and Healing. Another part of our teaching process consists of traditional long form Reiki healing and classes and Holistic Life Coaching; for humans on a spiritual path. PLEASE NOTE that all electronic devices including (cell phones, computers, camera, recording devices) and all other electronic devices are NOT allowed in classes and healing treatment rooms; and CANNOT be on while being in the Healing Arts Center. Thank you for understanding, and respecting our request. Our intention is being committed and dedicated to exceptional nurturing quality service to assist in positively improving human’s health, well-being, personal growth, empowerment, and transformation. We feel that when one human is positively assisted, it benefits all humans, all living things and the whole universe. Taking care of Spirit, Mind, Body, and Environment is important. Health is more than an absence of disease, suffering or trauma. Health is a state of optimum well-being and positive energy balance. Every human is responsible for their health and well-being. All humans have the potential to improve and transform negative stressors. All healing and transformation can only successfully happen from within. Shamans, guides, teachers, anyone or anything outside the person can only assist or help. The quality of every healing will be based on the people doing their part, and taking the opportunity to make positive responsible choices, and making changes in attitude and lifestyle to create their intention. They must choose what they would like to transform, for long term transformation to occur. Humans must consistently do positive things to maintain their health and well-being. Food is fuel that supports the biological system, so choose with mindfulness the foods and liquids that are consumed. The holistic approach to wellness is the integration of many paths to positively improving health and well-being, supporting positive spiritual transformation, and personal growth. Humans also need fresh air, nourishing healthy foods, sunlight, water, exercise, positive relationships, and rest, as a part of positively improving holistic health and well-being. Our Shaman’s Way of Healing treatment process is called the Whole Infinite Transformational and Healing process. This consists of energy purification, extraction of intrusive energies - entities - crystallized energy; life rites, soul retrieval, sacred alignment massage (this is done fully clothed). Reiki treatment is a part of the Shaman healing treatment process. The styles of Reiki energy healing treatments that are used is a combination of Usui, Rainbow, Tibetan, and Seichem Reiki; along with a crystal that amplifies the treatment to the power of thirteen. Currently Dorothea works by appointments only. She does not facilitate group workshops, group classes, and long distance healing. Shaman energy healing treatments and Reiki classes are done individually in person. Appointments are scheduled based on the person’s availability, and by what appointments we have available. Dorothea is the practitioner for the Shamans Way of Healing treatment process, and teaches traditional long form Reiki classes. Dorothea Orleen Grant was born in Montego Bay, Jamaica, West Indies on December 27, 1957. She has two children Renea, and Pia; and a granddaughter Ayanna. Dorothea’s professional career training and degrees are; Business Management from Duff's Business College in Jamaica, three General Manager Certifications in different restaurant operations USA, Metaphysics from the American Institute of Holistic Theology USA, Meditation from Zen Master Thich Nhat Hanh and the Monks and Nuns of Plum Village, and professional training in the ancient energy healing arts of the Incas Shaman, Healer, Sage, from the Four Winds Society, and the Inca Shamans of the Sacred Valley, and Amazon in Peru. Dorothea is also a certified traditional Reiki Grand Master Teacher. 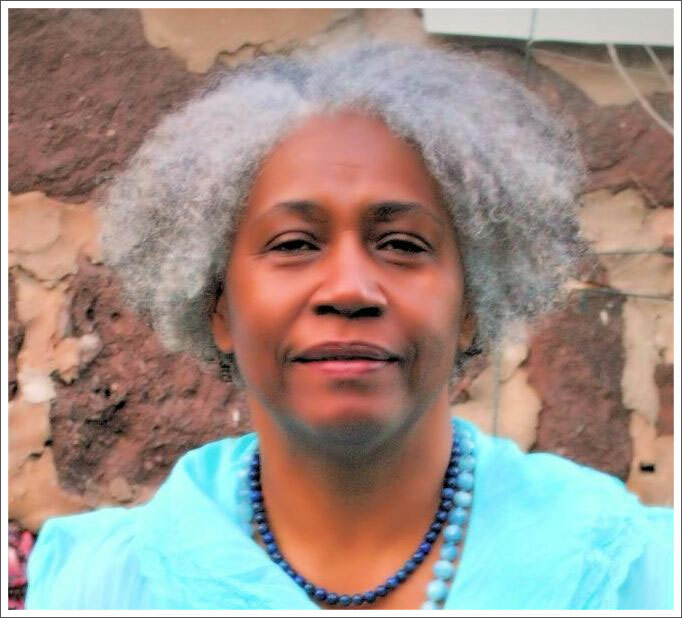 Currently Dorothea uses her authentic talents and professional training in the holistic energy healing arts a Dogca Universal Wellness, a center she created in 2000. Address Location - Oahu, Hawaii. Phone number will be given on a need to do so basis. All Shaman Energy Healing Treatments and Holistic Life Coaching Consultations will be done on the telephone long distance. Copyright © 2019 Dogca Universal Wellness. All rights reserved.